Khazanah to divest 16% stake in IHH to Mitsui at RM6 per share (closing price on 27Nov was RM4.92), implied FY19F EV/EBITDA of 20x. Mitsui to be the single largest shareholder with 32.9% stake and Khazanah 26.05%. This could give a renewed confidence to IHH’s valuation. Mitsui sets aggressive investment targets. Maintain BUY; Target Price of RM6.35. Trades at 18x FY19F EV/EBITDA, close to 1.5 SD below historical average. Khazanah to divest 16% stake in IHH to Mitsui for RM6.00 per share, implied FY19F EV/EBITDA of 20x. In the press release by both Khazanah and Mitsui, Khazanah is divesting a 16% stake in IHH to Mitsui for a total cash consideration of RM8.42b or at RM6.00 per share. The price is at a 22% premium to the closing price on 27 Nov 2018 before the share price rally yesterday and today. This implies an FY19F EV/EBITDA of 20x. We note that Mitsui divested a 2% stake in IHH in Oct 2016 at RM6.20 per share (implied FY16A and FY17A EV/EBITDA of 25x). IHH’s share price increased some 15% from the closing price of RM4.92 on 27 Nov 2018. The transaction is subject to relevant regulatory approvals and the completion of the Acibadem acquisition. It is expected to complete by 1Q2019. Mitsui to be single largest shareholder. Post the completion of both the transactions (divestment to Mitsui and Acibadem acquisition), Khazanah’s shareholding will decrease to 26.05% (from 41.545% currently), Mitsui will own 32.9% (from 18.03% currently) and Aydinlar (founder of Acibadem) will own 6.21% from 3.23% currently. Mitsui will then be the single largest shareholder. Could give renewed confidence on IHH’s valuation. This marks the start of Khazanah’s asset rationalisation exercise which was talked about after the new government took over in Malaysia. This transaction shows the confidence of Mitsui in the IHH platform, especially now with IHH’s strong footprints in Asia and Turkey, and Mitsui’s long-term positive outlook on the healthcare sector in Asia. We believe the price will give renewed confidence to IHH’s valuation, which has taken a beating recently due to the sharp depreciation of TRY and gestation costs from new hospitals and expansion plans. Aggressive targets set by Mitsui. While it is unclear if Mitsui will be more involved as it will be the single largest shareholder in the wake of both transactions, Mitsui has previously been a passive strategic shareholder. Nevertheless, the management team headed by Dr Tan has always led the operations and expansion of IHH. Interestingly, in the presentation slides and press release by Mitsui on this acquisition, Mitsui expressed that it “will further support IHH growth and also pursue opportunities that offer high growth, such as ancillary service business and other new business in areas such as disease prevention and management, telemedicine and personalised medicine”. “Mitsui will contribute to further develop healthcare services in Asia in terms of access, quality and efficiency and contribute to creating a healthy society”. Mitsui also anticipates a market growth of 10% p.a. in Asia healthcare as a result of population increase and an ageing society”. 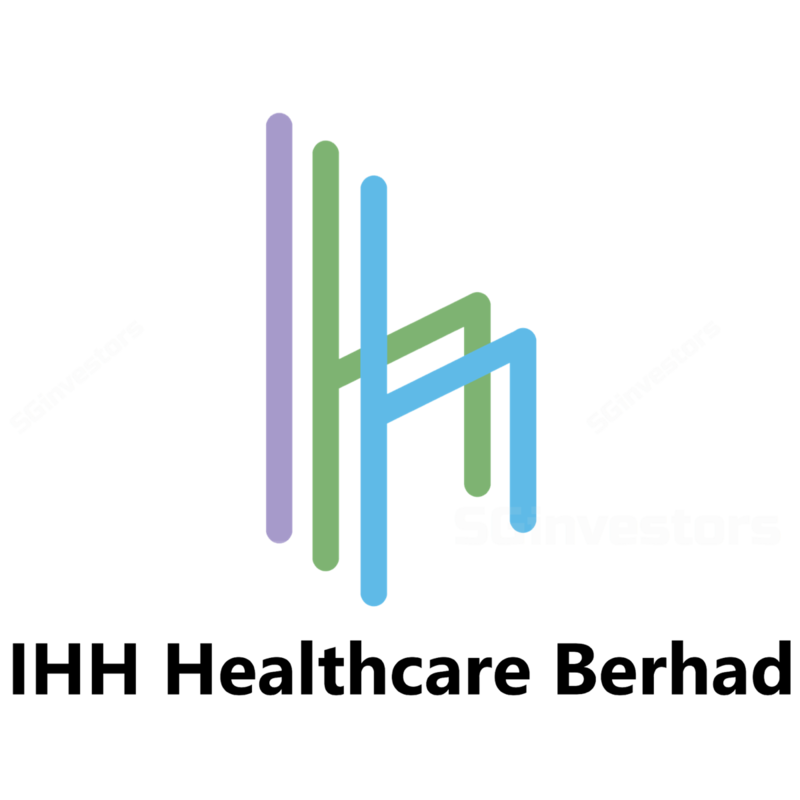 increasing the value of its stake in IHH to RM24bn- RM30bn and RM48bn-RMRM56bn, respectively, from RM8bn currently (18% stake as at Mar 2018). This implies IHH’s value of RM73bn-RM91bn and RM146bn to RM169bn in Mar 2023 and Mar 2028, respectively (IHH’s current market cap is RM44bn). PAT to grow to RM1.8bn and RM3.7bn, respectively, from RM1bn as at Mar 2018 (FY17A PAT was RM0.9bn). This implies a CAGR of 13% and 14% respectively. To double the total number of beds to 20k in five years and hit 25k beds in 10 years from 10k as at Mar 2018. We maintain our BUY rating and Target Price of RM6.35. IHH currently trades at 18x FY19F EV/EBITDA, close to -1.5SD of its historical average. While there may be a near-term knee-jerk reaction following the weak headline numbers largely impacted by forex fluctuations, we remain positive on IHH’s growth plans, with a pipeline of new hospitals in China and expansion of its footprint in India. We believe the ramp-up in Gleneagles HK and better economic prospects in home countries such as Malaysia and Singapore could offset some start-up losses in China and lead IHH into its next phase of growth. IHH’s medium-term outlook is bright while it rides out its near-term gestation period for the new hospitals. positive new markets such as India.